Do you recognize some of the paintings and sculptures in the book? Why do you think text appears in two formats? After reading this book, how has your understanding of art and making art changed? How does the fly show us the difference between facts and myths? 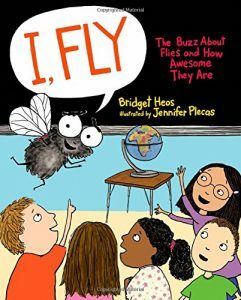 What information about flies do you find most interesting in this book? In what ways are flies and butterflies alike? different? 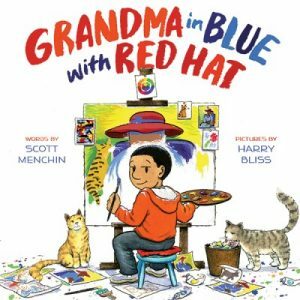 Find more resources for Grandma in Blue with Red Hat and I, Fly: The Buzz About Flies and How Awesome They Are at TeachingBooks.net! Share these early literacy activities with caregivers or add them in story time. Talk: This book is in both English and Spanish. What other languages do you hear or speak? Sing: Do you know any songs or poems in different languages? Sing one of these songs. Write: Draw your favorite thing. Is it a blanket, pillow, or something else? Play: Create a story about your favorite thing. Can you act out your story? Math or Science: Make a blanket fort. 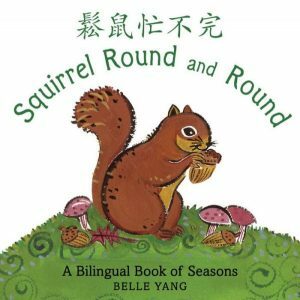 Squirrel Round and Round describes the changing landscape and activities of its inhabitants as a squirrel travels through the seasons of the year. The squirrel observes blooming camellias, noisy cicadas, ripe persimmons, and more as winter turns to spring then to summer and fall. The first frost and fresh tracks in the snow bring the squirrel back to winter. The book offers a rich vocabulary in English and Mandarin Chinese while attractive illustrations painted in impressionistic colors are simple yet detailed. © Cooperative Children’s Book Center. Talk: What different animals live outside your house? Where do they live? Sing: Listen for the sounds in your world. What sounds can you make? Do different languages make different sounds? Write: Can you create Mandarin characters? Play: Go outside and make some tracks. Math or Science: How can you tell what season it is? Use all 5 senses. For more bilingual titles, try the Cooperative Children’s Book Center (CCBC) bibliography, 50 Bilingual and Spanish/English Integrated Books, or search on the CCBC website. 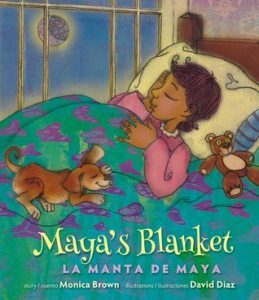 Find more resources for Maya’s Blanket/La Manta de Maya and Squirrel Round and Round: A Bilingual Book of Seasons at TeachingBooks.net. How do Joseph’s actions affect his uncle’s life? How do the different characters deal with death? 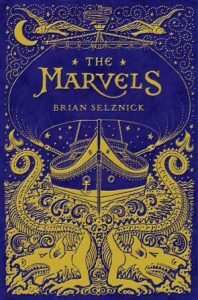 Brian Selznick chose to tell this story in alternating illustrations and prose, or text. Why do you think he uses both mediums? What story do each of these mediums tell? Why do you think he alternates between the illustrations and the text? Pre-reading question: Who was Shakespeare? How does perseverance help Ira achieve his dream? What problems does Ira want to solve by acting? Find examples in the story of individuals who take chances on Ira and protect him along the way. 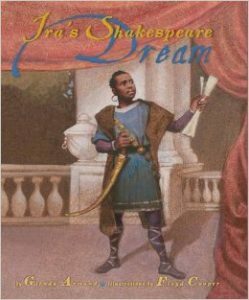 Find teaching guides and other resources for The Marvels and Ira’s Shakespeare Dream at TeachingBooks.net.